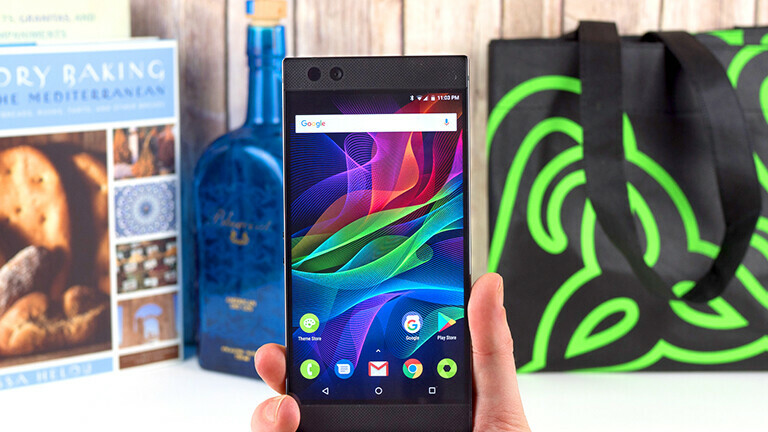 Razer just confirmed that its Razer Phone suffers from a selection of nasty and potentially game-breaking issues that numerous users apparently suffer from. Apparently, multiple people have had their fingerprint scanners stop working on them. Weirdly enough, certain users also reported that the fingerprint menu disappear from the settings menu - should I imply what a grave security concern that one is? Apparently, a costly factory reset fixed the issue for some users but others were not that lucky. Another lesser malady that affects some Razer Phones is a weird bug that randomly applies filters to your captured images. We can't say if this is the fruit of a super-advanced AI that wants you to get as many Instagram likes as possible or merely a silly bug, but we could easily see how aggravating such an issue could be. This new bug got seemingly introduced with a recent incremental software update and some users managed to get it fixed by, you guessed it, a factory reset, but again - others weren't as lucky. Finally, extensive gaming for some caused the display to get quite dim and illegible, while another batch of unlucky Razer users was left with a flickering display. Fortunately, Razer staff members have responded that these issues are being looked into right now and will quite probably be addressed with a software hotfix sometime in the indefinite future, hopefully. Meh, I never use my fps anyway. I will say that at least Razer is responding to these concerns and they seem to be tuned into the forum posts on their website. Since it's their first phone and because they are at least saying they are committed to fixing the issues, I think it is reasonable to give them a pass. It's not like some other manufacturers I know that would either deny the problem exists or try to sweep it under the rug. "It's not like some other manufacturers I know that would either deny the problem exists or try to sweep it under the rug." And more specifically, put the blame in the consumer, saying they're using it wrong. Spending at least 2 hours (if your internet connection is fast) to setup the phone again isn't it costly? Time is the most precious asset one has; I rather spend those hours, doing something that gives me pleasure, rather than spending them, configuring my phone. You do have a point, so I can agree with that. It turns out most of the time I have a point :). Cheers! Blame it on software bugs(fixable) and new display which not built by razer.